Frameless resolvers provide OEMs and machine builders with important design flexibility. 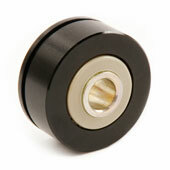 Housed resolvers are built with specific mounting surfaces and hole patterns. Frameless resolvers are supplied as separate rotor and stator assemblies, which enables them to be built directly into the equipment. This supports smaller form factors, lighter weights, and innovative designs. Frameless resolvers require a certain amount of expertise to mount and install, however. Here, we review the requirements and discuss common error sources and pitfalls in applying the technology. A resolver is a type of transformer that measures angle based on electromagnetic interaction between the primary winding (rotor) and secondary windings (stator). 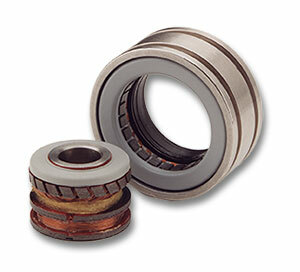 As a result, the performance depends upon the proper alignment of rotor and stator with respect to each other. Housed resolvers are pre-aligned at the factory. To obtain accurate results from a frameless resolver, the user needs to build mounting elements into the equipment and install the rotor and stator to meet alignment tolerances. Axial misalignment or variation in the mounting dimensions between the resolver rotor and the resolver stator housing mounting surfaces should not exceed 0.015 inches. Eccentricities between the rotor and stator mounting surfaces should not exceed 0.003 inch. Mounting shoulders should be perpendicular to the bores and shafts of the structure to within 0.0005 inch. The fit between the bore and the maximum stator housing OD, and between the shaft and the rotor ID should be from 0.0002 to 0.001 inch loose. This will ensure that there is no line-to-line fit or interference fit. Stator housing and shaft should be made of materials with coefficients of thermal expansion that are similar to those of the resolver rotor and stator. The above guidelines have been developed for a typical application. Depending on the unit size, air gap clearance, accuracy, and other electrical requirements, tolerances may need to be loosened or tightened to ensure desired performance. Once the mounting elements are machine and in place, the rotor and stator need to be installed. Because the resolver is based on the electromagnetic interaction between rotor and stator, proper electrical alignment is essential to accurate position reporting. Installation of a resolver is for a position for commutation application is normally a four-step process. 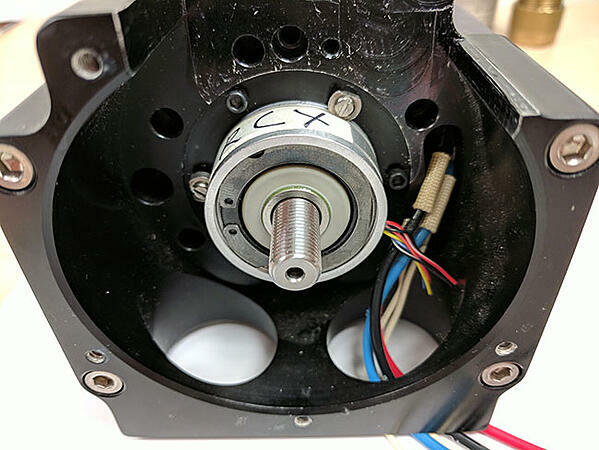 Firmly secure the resolver rotor to the motor shaft, aligning the electrical zero mark so that the lead of the resolver stator will exit in the approximate desired position when marks coincide. Next, attach the resolver stator to the motor end-bell with a temporary snug fit. Align the resolver zero position with a motor pole for commutation. This can be accomplished several different ways. 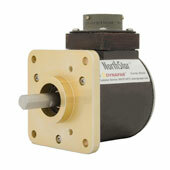 Apply a DC current across two motor phases, which “locks” the motor shaft at a pole position. Connect the resolver to an angle position indicator, and rotate the resolver stator until the indicated angle is zero degrees. Firmly secure the resolver stator in this position. Mechanically drive the motor with a second motor. While the two are spinning, view the back EMF of the motor being configured on an oscilloscope. Simultaneously, view the resolver signals on the scope. Rotate the resolver stator until the zero crossing of the back EMF coincides with the resolver zero position signal. Firmly secure the stator in this position. The above image shows a resolver mounted to a motor with the rotor mounted to the motor shaft and stator securely fastened in position. 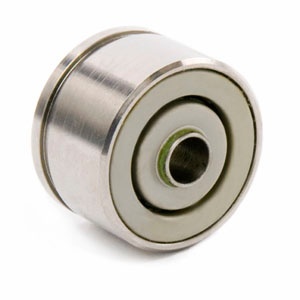 If the rotor or housing tilt is slight (about 0.0001 or 0.0002 inches with respect to each other), very little change will occur in any parameter. Tilts greater than this must be avoided in units with small air gap clearances to prevent contact between the rotor assembly and the stator assembly. In addition, increased tilt between rotor and stator will increase position and velocity error.